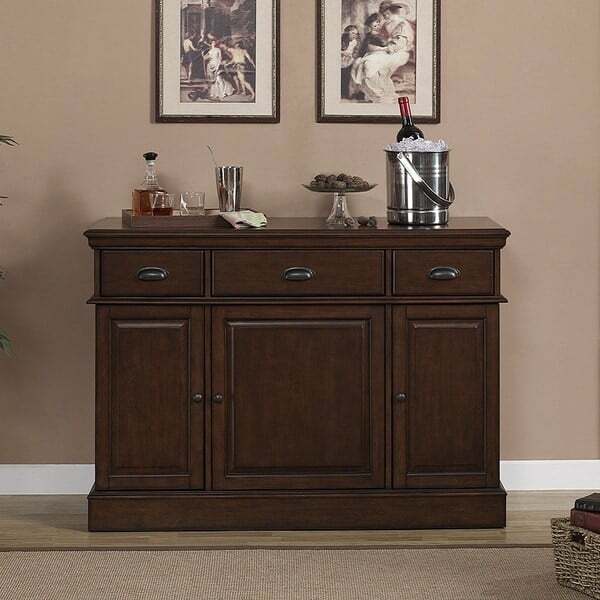 Solid function and traditional style were the major themes behind the design of the Gabriella Console Bar from American Heritage. Perfect for any high-end residential space, this console bar offers a delightful furniture design in a superb Navajo finish. 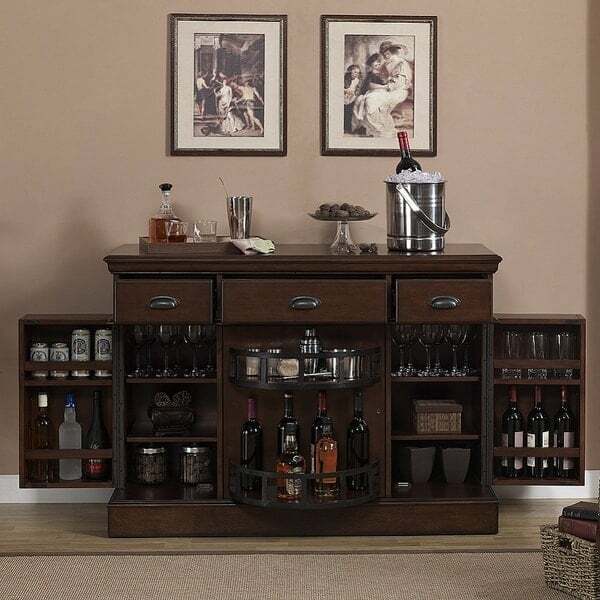 But the wonderful function and storage that comes with this home bar is truly the main attraction, with Lazy-Susan-style shelves in the middle cabinet and adjustable shelves providing ample storage space in the right and left cabinets.